I have several favourite pictures from 2016 so its hard to pick the best, but this one represents a major event in both railway and heritage industry history. 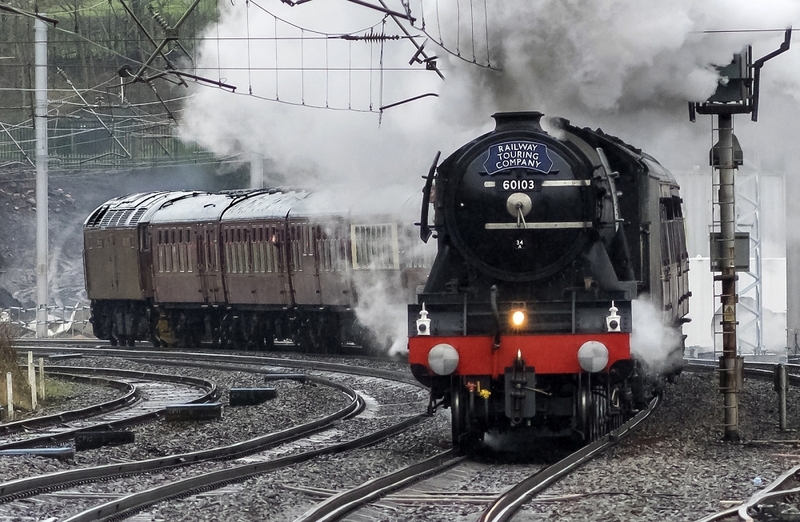 It was on a bitterly cold day in January when the iconic express steam locomotive Flying Scotsman made its first mainline revenue earning run on the Winter Cumbrian Mountain Express after a £4million plus restoration. Here it's at Oxenholme, near Kendal, gathering speed at the start of the climb to Gayrigg and Shap summits. At this date it was still painted black, shortly before it got its coat of shiny green paint.